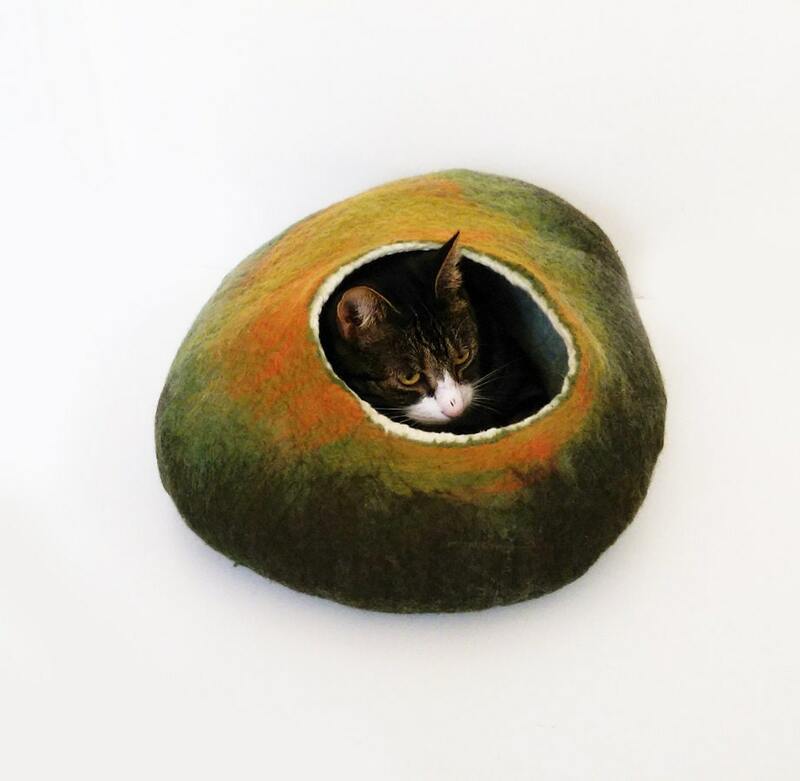 Cat Bed Cat cave Cat house cocoon in autumn tones blended made from felted wool with free ball for your cat, your cat will love this its soft and woolly, they will feel snug and warm. 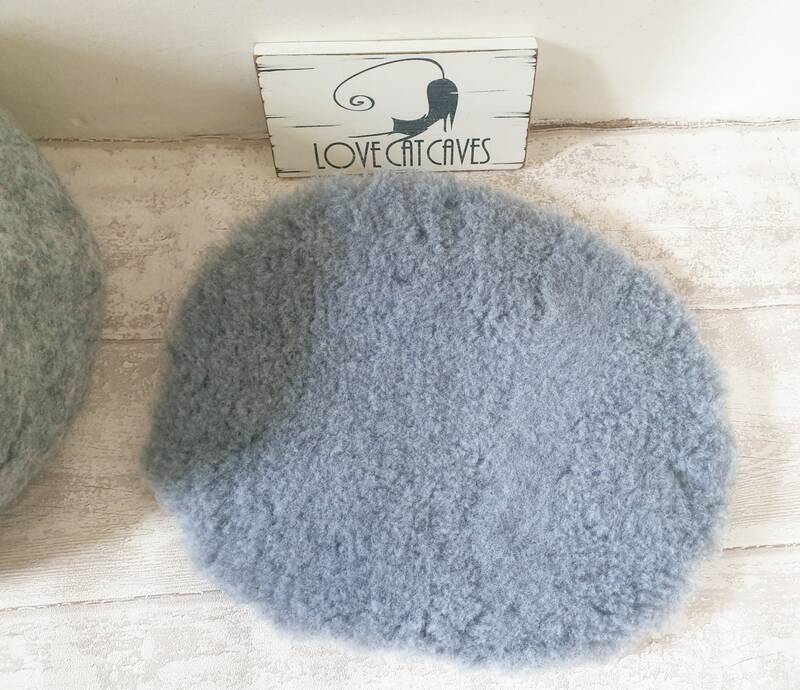 Cats are naturally attracted by the wool natural odour because of the lanolin smell. Add an insert pad its removable and will not support bacterial growth, resistant of permanent staining and machine washable. 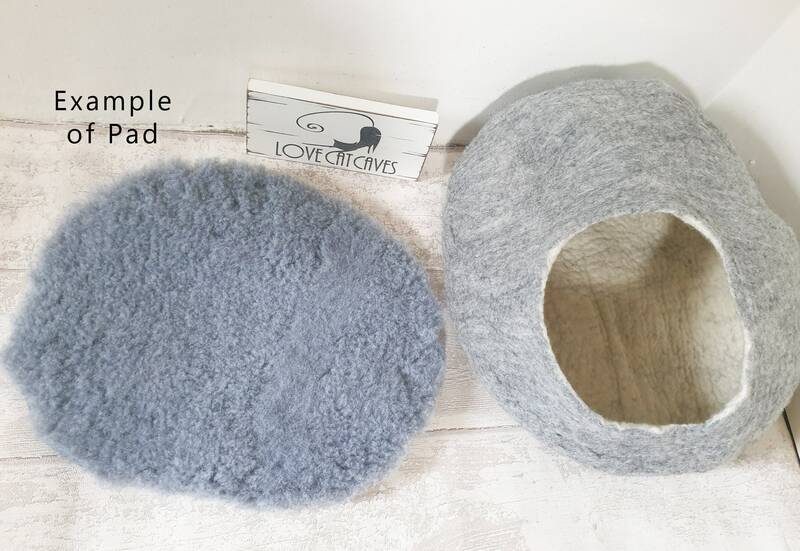 If you wish to add the pad/cushion please select from the drop down menu with size required. 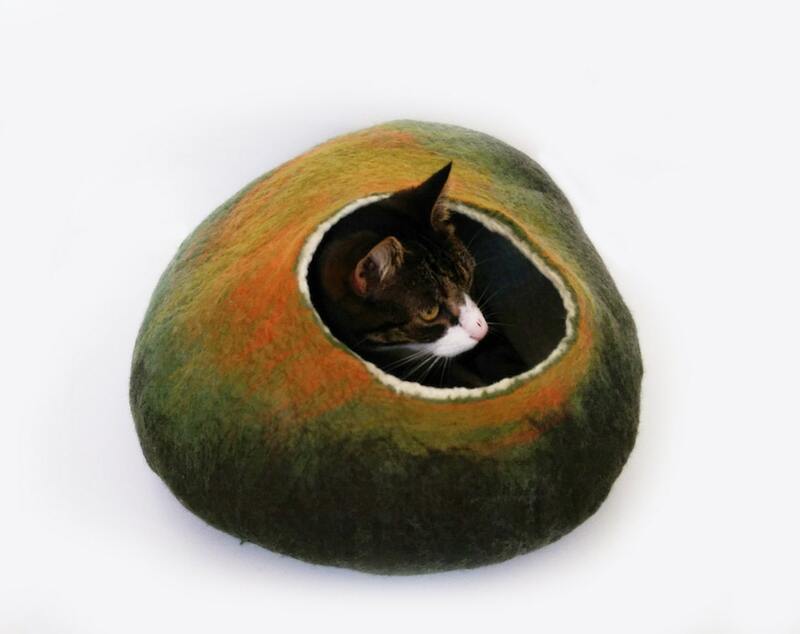 Size S for 2-4kg (4-9 pounds) cat. 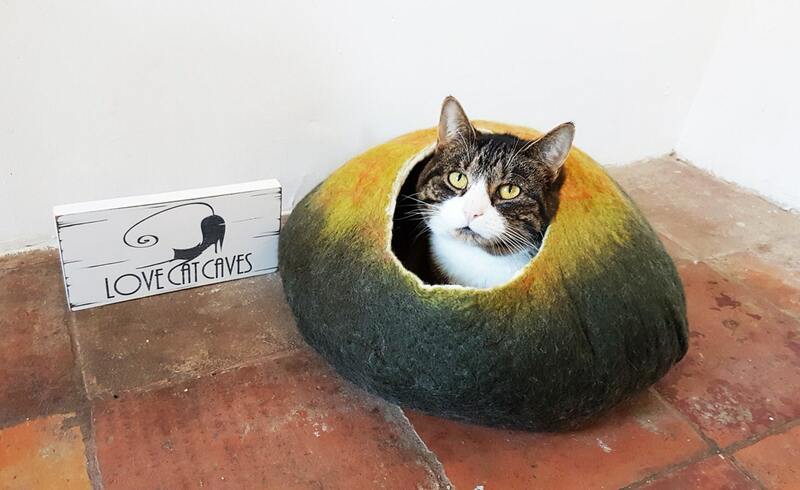 Dimensions of the cave approximately: 38 - 40cm; 16", height 17cm; 6.8"
Size M for 4-6kg (9-13 pounds) cat. 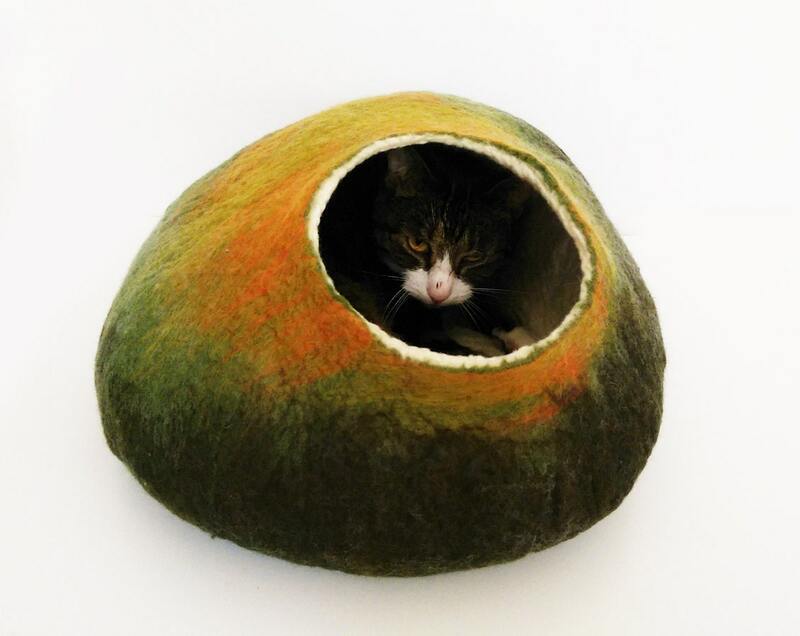 Dimensions of the cave approximately: 43cm; 17" height 18cm; 7.2"
Hand felted from soft pure merino wool using the wet felted process using just water and olive soap. 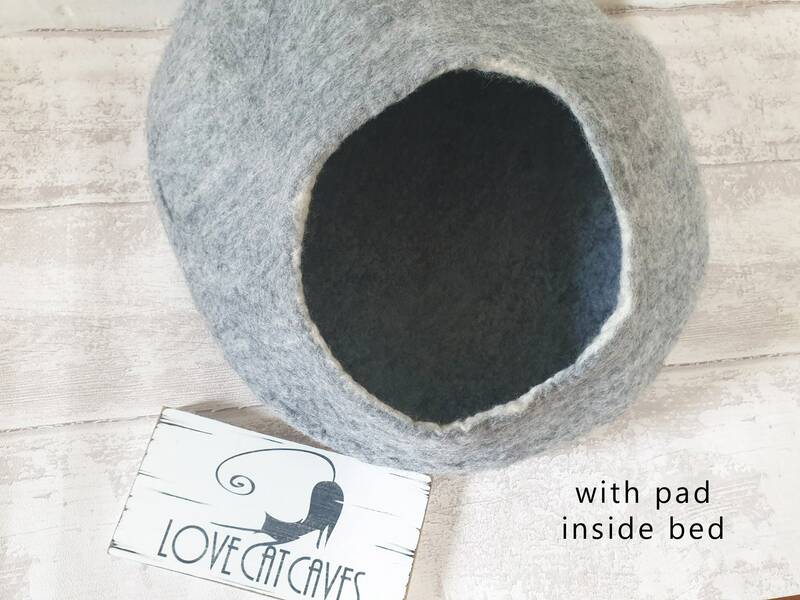 cat bed washing / Care: Gently hand wash with lukewarm water press the remaining water form the bed with your hands, reshape and let it dry on towel.